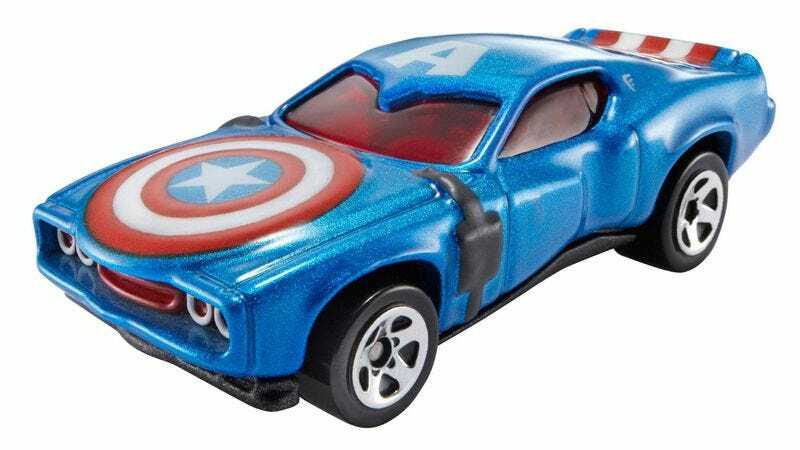 It's Captain America, but as a car. This is a pretty big TV for $259. You can also size up to 43 inches for $288, 48 inches for $515, and so on. And for just $91 more, Amazon will come to your house and wall-mount the thing for you. Fun fact: We get a report listing the items you buy on Amazon (all anonymously, of course) and this is on there almost every day, meaning that you guys must really like Ecto Cooler. Good job. Yes, this vacuum is refurbished, but it’s also $400 below list price. Pick these up for your kids or for the kid in you. Be the only one of your friends to watch Criminal, a movie that somehow stars Kevin Costner, Gary Oldman, Gal Gadot, and Tommy Lee Jones. Yes, Alexa plays music, but it also can read you the news, order pizza, and even provide weather reports. This thing’s mod as hell, and its rubberized tips won’t injure fellow public transportation riders. This two-player card game has four stars on Amazon. That Michael Emerson guy from Lost stars in this CBS procedural.